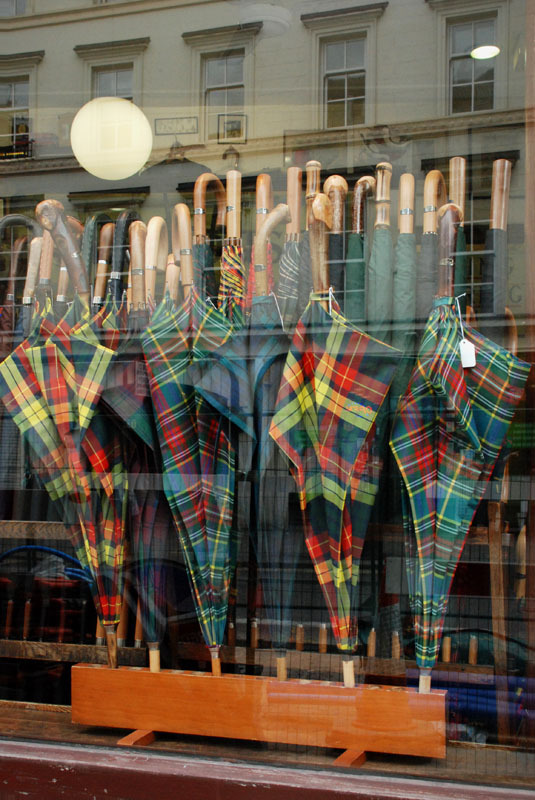 Another shot from James Smith & Sons, Umbrellas Ltd., London. I love the visual cacophony of the geometric pattern of the tartans overlaid with that of the reflected building. Interestingly, I realized on this trip that I was shooting almost as many vertical shots as horizontal, much more than I ever knew that I did as a practice.